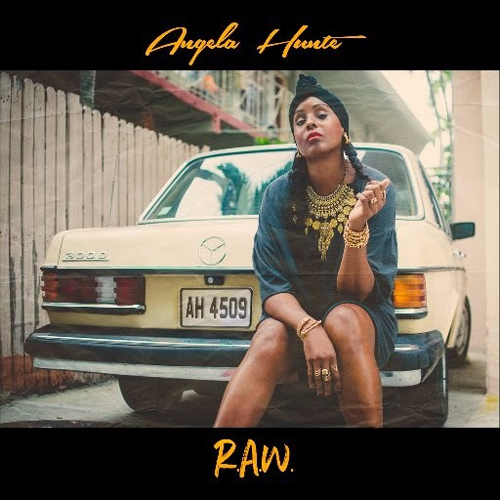 American-Trinidadian singer - songwriter, and producer Angela Hunte, launches her hit debut Album 'R.A.W. '- a stellar project built on the solid years of her prolific career in music. Angela Hunte began her recording career in the ‘90s, as a member of 7669, a Motown Records girl group whose style could be described as something like TLC or Salt N Pepa by way of Bone Thugs and Onyx. Following their sole album, 7669 East from a Bad Block, she took up an apprenticeship with iconic hip-hop producers Easy Mo Bee (best known for his work with the Notorious B.I.G.) and Salaam Remi, with whom she learned the art of songwriting. Remi would later bring Hunte into the studio with Amy Winehouse and Nas. Fans of the latter will recall 2002’s “I Can” (from God’s Son) with its children’s chorus. Turns out there were no kids on the track… it was all Angela Hunte, putting her uniquely-pitched, high-register vocals to creative use through several multi tracks. She has gained recognition over the years for her impressive musical catalogue which includes names like; Britney Spears, Rihanna, Jay Z, Snoop Lion and more, One of her most notable co-writing Jay Z and Alicia Key’s Big Apple anthem “Empire State of Mind”— which earned them a Grammy in 2011. Hunte spent her formative years in Trinidad and was the only member of her family to be born in the United States of America. She is married to Sound Engineer/Mix Engineer and Grammy Award winner James Wisner and has two children, King Zion, and Brooklyn Rose Wisner. 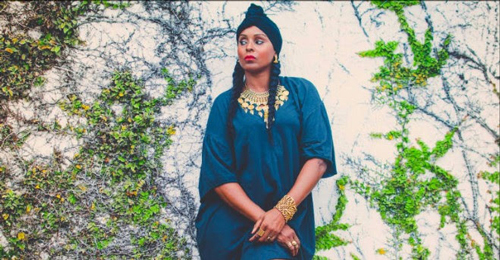 Although she is faithful to her homeland- Trinidad and Tobago, her musical journey has seen her making a home to places like Sweden and London. When it comes to her core, reggae, dancehall and soca are at the beating pulse of her body.Throughout the years, she has worked with well known artists in the Caribbean — everyone from Gyptian to Bunji Garlin and Machel Montano to name a few. After decades behind the scenes, Hunte unburdens herself over a set of reggae rhythms from longtime musical partner DJ Buddha, bringing her artistry front and center on her very first full-length project R.A.W via Therapist Music, brings everything full circle. R.A.W., released on September 22, 2017, featured songs such as 'Runaway Love', 'Gettin Ova You', 'Kings and Queens' featuring Tarrus Riley just to name a few. 6 Ballater Avenue | Kingston 10 Jamaica W.I.